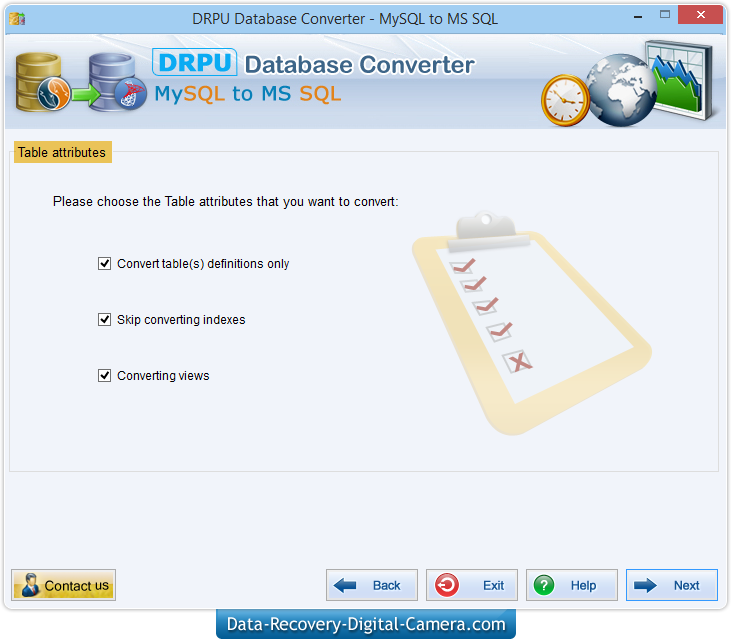 Select MySQL Database from left panel and MySQL database Table(s) list from right panel. 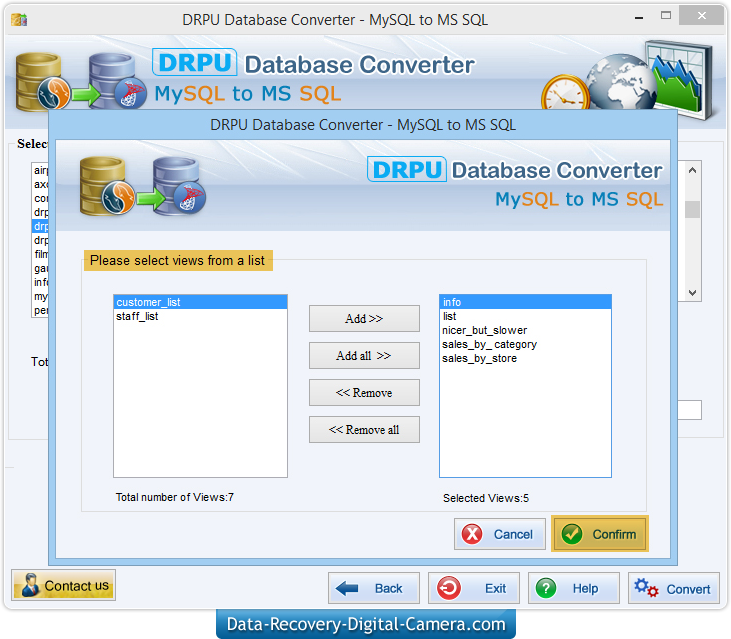 Select 'views' from list and Click Confirm button to start conversion process. 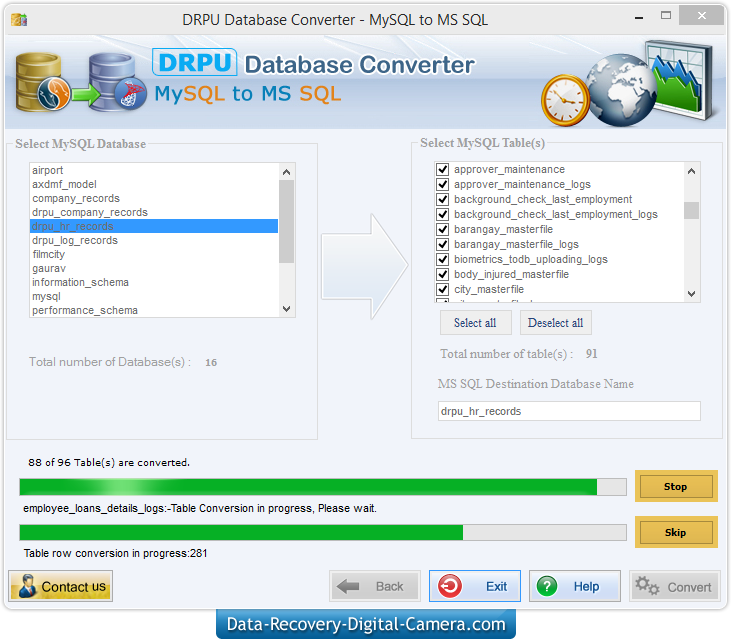 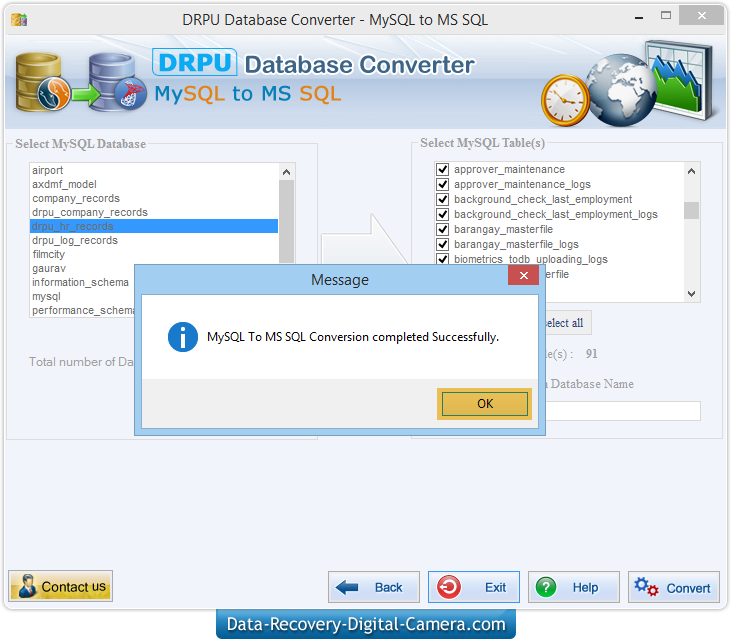 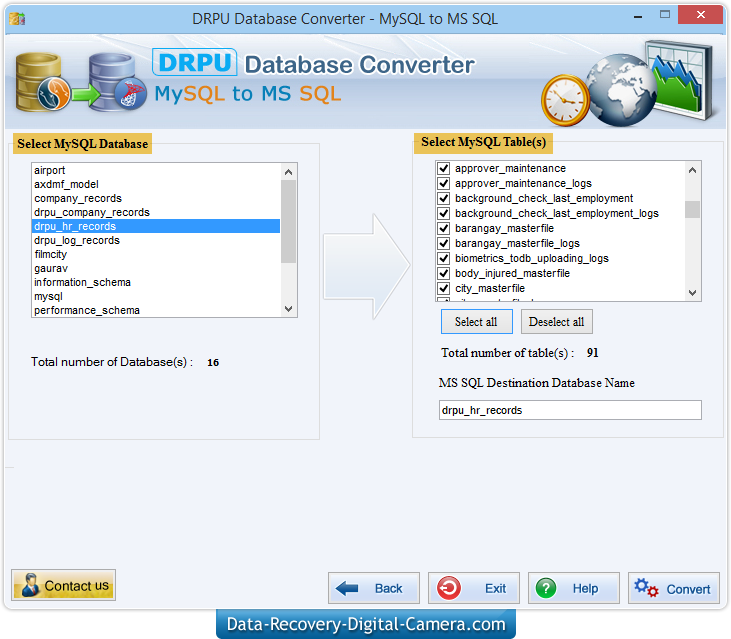 Now, MySQL to MSSQL databse conversion process has been sucessfully completed.